Greenstein has succeeded in producing a work that is a feat of skill and ingenuity. He has reached out to embrace the whole world of Jewish thought, practice, and aspiration -- a religion, a yearning, and a way of life that goes back for well over three thousand years. 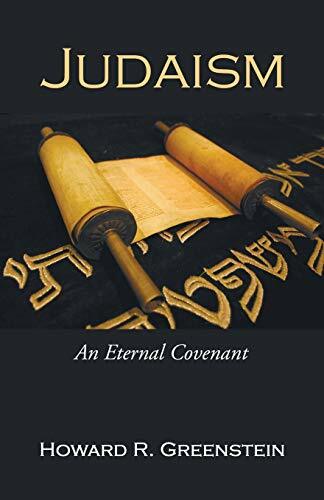 Here we have the essence of Jewish history and theology, all in ten well-written chapters. -- Jacob Rader Marcus American Jewish Archives Howard R. Greenstein served as senior rabbi of Congregation Ahavath Chesed in Jacksonville, Florida, from 1972 to 1995 and is currently the spiritual leader of the Jewish Congregation of Marco Island in Marco Island, Florida. He has taught Judaic Studies at the University of Florida, University of North Florida, Jacksonville University, and Florida Gulf Coast University. In addition to several articles and reviews, he is also the author of 'Turning Point: Zionism and Reform Judaism' and coauthor of 'What Our Neighbors Believe: Judaism, Christianity and Islam' (forthcoming). Howard R. Greenstein served as senior rabbi of Congregation Ahavath Chesed in Jacksonville, Florida, from 1972 to 1995 and is currently the spiritual leader of the Jewish Congregation of Marco Island in Marco Island, Florida. He has taught Judaic Studies at the University of Florida, University of North Florida, Jacksonville University, and Florida Gulf Coast University. In addition to several articles and reviews, he is also the author of 'Turning Point: Zionism and Reform Judaism' and coauthor of 'What Our Neighbors Believe: Judaism, Christianity and Islam' (forthcoming).